If you really want to get away from it all, check out The Arctic Hideaway! Located in the Fleinvær Archipelago in the Arctic Circle of Northern Norway, near Bodø, you are on your own private, tiny island. There are no cars, no roads, and no shops. 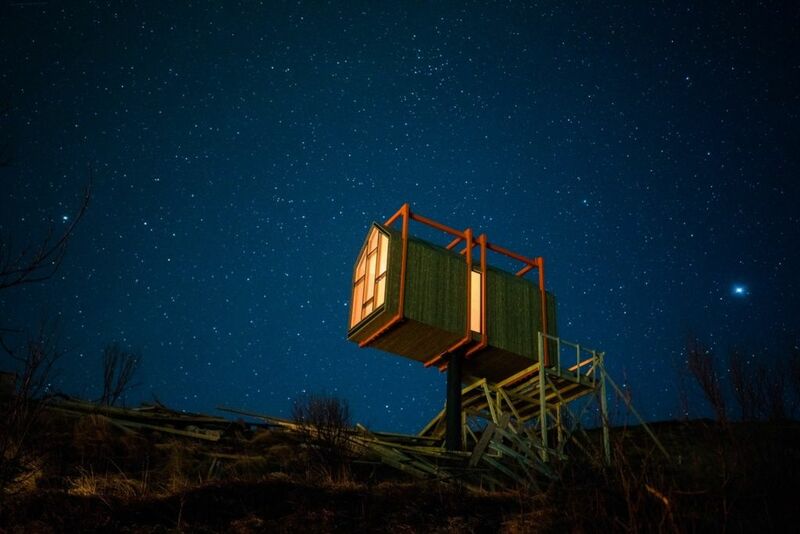 What you do have are four private sleeping houses and five social spaces with floor to ceiling windows and gorgeous, panoramic views of the arctic wilderness. If you plan it right, you’ll have unobstructed vistas of the stunning Northern Lights. Relax in the sauna. Chill out in the tower house. Escape the world and revel in the Scandinavian retreat experience of The Arctic Hideaway!